Easy way to import EML files to Office 365 and access your EML file from Office 365 cloud storage.you can also know that “how to open an eml file on office 365”. If we want to search scenarios on Thunderbird (EML) to Office 365 migration then we will find many questions, suggestion, tool, and post on this method. This post is also one of them for you. 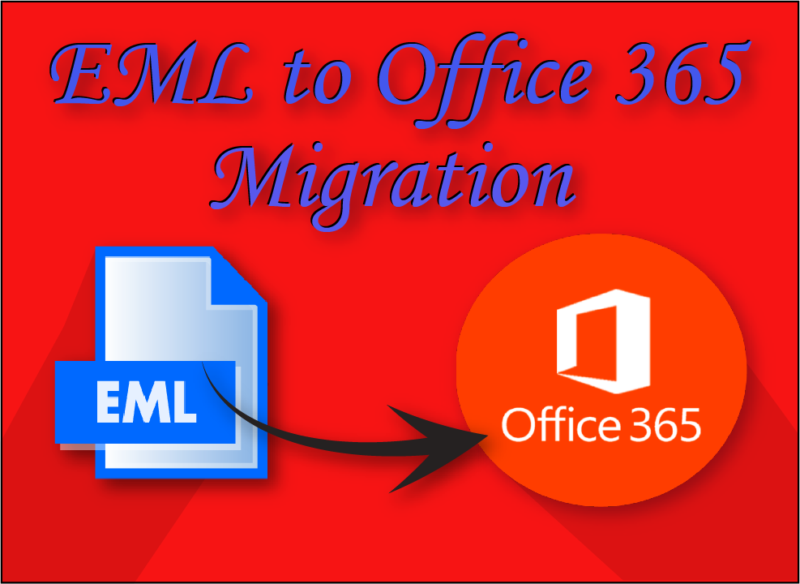 Where, you can find every single step of EML to Office 365 migration process. If you are frustrated after reading the other post then try to focus full attention on this post and definitely, you will get the proper solution. EML to Office 365 migration process starts with the correct method, then the task is not more complicated. If you want to open the EML file then some major email clients support it such as Apple Mail, Thunderbird, Window live mail, Outlook Express and Entourage etc. In which, EML’s first responsive email client is considered Outlook Express. However, most widely used email client like Outlook or Office 365 do not support EML format. For this, users have to face EML to Outlook or Office 365 migration issue. Two methods are mostly used to open EML data into Outlook or Office 365 Environment. It’s quite easy to migrate EML data into WLM with all properties. If you are using any EML supported Email client instead of WLM then follow below step to import EML to Window live mail. In this article, we will use Thunderbird Email client, so we import Thunderbird EML data into WLM mail client. In some words, if we want to transfer EML to Office 365 manually then it will be a big procedure. Let’s see. After export EML data from Thunderbird >> import EML into Window live mail (Create a new folder in WLM, if you want… like Thunderbird EML). After export Thunderbird mail to WLM >> Go to Export button on Window Live Mail. Choose Export messages >> select Microsoft Exchange then Next. Press OK on confirmation window. Pick Thunderbird EML folder and hit on OK button. Wait until the conversion end then move forward and know “How to open an EML file on office 365”. How to export PST file from MS Outlook. Open MS Outlook after finish the conversion >> Go to file tab >> Select Import & Export wizard. Select Export a file >> Choose Personal folder file (.pst) >> Choose your imported EML file. Browse your destination where you want to store PST file. Optional step to put a password otherwise leave it and press Ok. Wait until the conversion finish. After finish the conversion you can use Microsoft Network or Drive Shipping Method to import PST file in Office 365. If you choose the Microsoft Network Upload method, this is also a big process but free. While Drive Shipping Method can be used to pay as much as your data size. This process becomes more difficult with the huge size of EML files, and this method takes a lot of time. Finally, if your data turns out to be disorganized or damaged then the whole process fails. To avoid this process only, we needs a complete solution. It is better for the user to select a third-party solution appropriately. Third party tools are based on simple graphic interface, which can be easily handled and execute by any technical or non-technical person. You can choose any device from the market, but my advice is to adopt MailsDaddy EML to Office 365 Migration Tool and import EML files to Office 365 cloud storage. This software very smoothly converts Outlook Express, Window live mail, Thunderbird, Entourage and Apple Mail’s EML files into Office 365 cloud storage. This solution will helpful for Outlook or Office 365 users those who want to open EML files into the OWA (Outlook Web Access) environment without loss or damage any content. It’s export Thunderbird (EML) to Office 365 and also migrate multiple EML files to Office 365. It extracts all the essential email components like To, Bcc, Cc, From, Rich text, Attachments etc. This software is also well supported by all MS Outlook and Windows platform. It directly import EML data from Thunderbird to Office 365 or Exchange online. Note: Software program has been well-developed by the experts so that it never stores your login credentials. Regardless, you use this tool countless times on EML to Office 365 migration. 100% efficient and reliable migration. Zero error from beginning to end. Both options to migrate EML data to Office 365 or Outlook. Execute conversion with Bulk Export option and save time. Export EML data into Primary or Archive mailbox. Display of each selective EML file. Search mail button allows you to find particular email through criteria. Note: you can also try its demo version and get familiar with the tool features and execution. How iPhone Monitoring Solution Work With Non-Jailbreak Devices?